I can say these two things: it's a gorgeous film and it's my favorite Lars von Trier film. Of course, I hate Lars von Trier films. 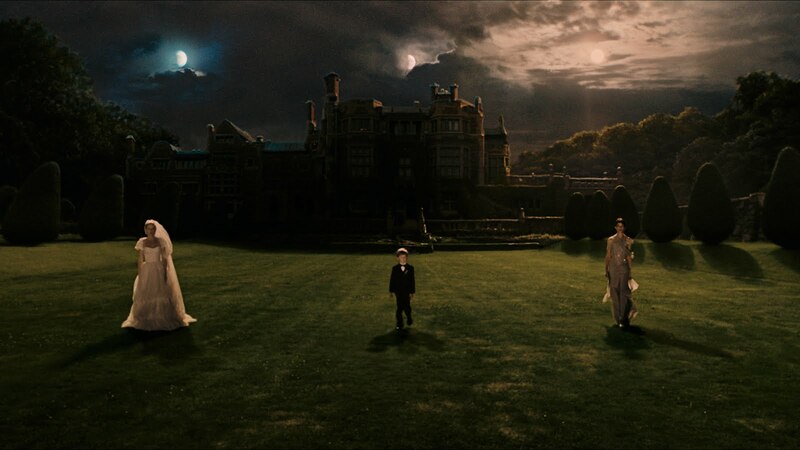 Like the others that I've seen, Melancholia is choked with its tone of rarefied misery. It helps to know that Trier has battled severe depression, and it gives me sympathy for his need to work this cinemafied state of mind over and over (and over and over). But two hours is a long time to spend with someone who can't manage to take a bath or get through the cake-cutting at her own wedding. It doesn't help that these people remind me of absolutely no one. Maybe that's my provincialism, or maybe they are simply abstractions for the states of mind they represent: depression (the bride), bitterness (the mother of the bride), arrogance (the brother-in-law), uncomprehending normality (the groom). But it's irritating: How does a woman get all the way to her reception before realizing she's repelled by her boyfriend? How realistic is it that a woman as bitter and unhinged as Charlotte Rampling's mother of the bride would come to the wedding, much less bother to make a scathing speech amid all the toasts? And how does a woman fawn over her favorite horse one day and beat it mercilessly the next? But I did watch for two hours and never once really thought of switching it off (though I might have done a slow fast-forward toward the end). It's gorgeous, gorgeous, gorgeous to look at and kind of flabbergasting to contemplate such a complete end to our world. The idea that the confident fall apart and the melancholy feel right at home with the end of the world is fun but maybe not that true to life. Hopefully we'll never have to find out for sure.